The following conditions are binding for any user of this web site. The brands and logos included in this web site are registered by Marinas de Andalucía. It is the owner of the copyright (copyright) of the entire content, graphic design and source code of this web site. 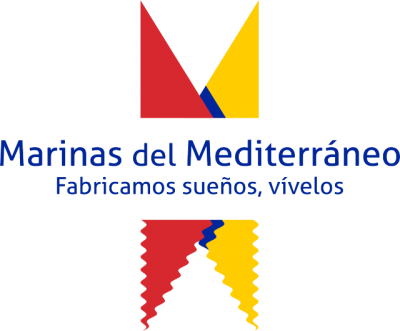 Copyright of all the products that appear on this web site belong to Marinas de Andalucía. The copying, reproduction, transfer, distribution or storage of part or all of the content of this web site, in whatever form, without the prior written consent of Marinas de Andalucía, is prohibited with the following exception: it is possible to make a copy of the materials presented on this web site on a single computer or print copies of these pages only for non-commercial personal use, with the unavoidable condition of maintaining the copyright notices and trademarks as they appear there. Any modification or use of the materials for any other purpose will constitute a violation of the rights of Marinas de Andalucía, which reserves the right to initiate any action against this violation. It is also prohibited to use any of these materials on another web site or computer with a network environment without the prior written consent of Marinas de Andalucía. Marinas de Andalucía does not guarantee the accuracy, reliability or integrity of the content of this web site. Marinas de Andalucía expressly states that it is not responsible for the use of this web site by third parties and excludes any kind of implicit or explicit guarantee in connection with such use. Marinas de Andalucía will not be responsible for any type of loss or damage that may arise from the use of the information contained in this web site, nor from the impossibility of using it. Marinas de Andalucía reserves the right to review, complete or modify the content of this web site at its sole discretion and even to prevent access to it at any time. The visit to our web site implies the acceptance on your part of the Spanish legislation as the Law that governs the conditions of use and any other dispute that may arise from the use of the web site. With your visit to our web site you renounce the jurisdiction that may correspond and accept that any dispute or conflict that may arise as a result of your visit to our website is definitively resolved by arbitration, in accordance with the Rules of the Court of Arbitration of Madrid , instituted in the Chamber of Commerce of Madrid.